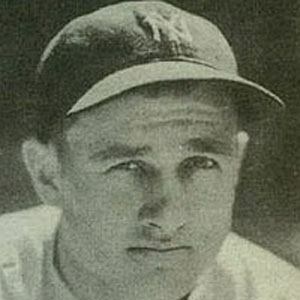 Outfielder who helped the New York Yankees win four World Series; later, he shot himself when he was arrested for bank fraud. He played for the New Haven Profs in the Eastern League. He was suspended for 10 games in 1939 for making racist remarks in an interview. He was born in Silver Spring, Maryland. Smooth Hall of Fame center fielder Joe DiMaggio was his teammate on the Yankees.